Wondering what type of cooler you should get? We’ve field tested dozens of models & finally built a list of the best fishing coolers available. 10.1.0.0.1 There are multiple factors to consider when shopping for a fishing cooler. A fishing cooler ensures that you catch remains fresh and chilled, it is an important piece of equipment to bring with you on fishing trips. It offers a better preservation alternative to other methods like UV light and spraying salt, which can affect the taste of fish. A good cooler prevents the growth of bacteria without compromising the natural taste. Fishing coolers come in different designs and sizes. The majority of this post will review the best fishing coolers on the market. We will also discuss the criteria for finding a model that satisfies your needs. The Yeti Tundra 65 is extremely durable and an excellent cooler for long fishing trips. It is made from rotomolded polyethylene and filled with 3” of PermaFrost insulation. The result is a cooler that feels more like fiberglass than plastic. It has a one-piece lid with molded-in full hinges and a rubber gasket to ensure a tight seal. The plastic handles do a good job of easing portability but cannot sustain heavy loads. When it comes to performance, the PermaFrost insulation helps keep the contents cool regardless of the external temperature. The thick rubber seal locks in the cooler temperature and further improves the efficiency of this unit. Unlike other traditional coolers that sweat when exposed to the elements, the Tundra 65 keeps fish dry. It is equipped with Bearfoot Non-Slip Feet that ensure the cooler stays in place regardless of how slippery the surface is. Most coolers are simple plastic boxes with a small amount of foam on the sides for insulation and an air gap. Then there are super fishing coolers made from rotomolded plastics and the ability to keep ice intact for several days. The Engel USA Cooler/Dry Box offers a good balance between cheap and super-coolers. Available in three sizes, it serves both as a watertight dry box and an insulated 24-hour cooler. It comes with stainless steel latches that lock down the lid tight. A thick and airtight EVA gasket keeps air and cold out, ensuring optimal preservation of the catch. The unit uses ¾ inches of foam insulation on all of the six sides, which is more insulation than that offered by typical coolers. It is watertight and includes a small plastic tray for food. The carrying strap is connected to the Drybox in four points and fully supports the bottom. The Coleman Coastal Extreme Series Marine Portable Cooler certainly doesn’t disappoint when it comes to design, durability or performance. It is offered by a brand that many have come to trust when it comes to the outdoors. The cooler is available in multiple sizes and you can go as small as 28 quarts or as high as 150 quarts depending on your needs. The 120 quarts model is large and ideal for long fishing trips. One of its major selling points is the use of Xtreme 5 Technology, which ensures that ice stays intact for up to five days. The use of low CO2 insulation helps reduce carbon emissions from foam production while additives prevent the growth of battery. This unit incorporates UVGuard protection and stainless steel hardware to provide years of reliability. It has a leak resistant drain that empties excess water without tilting. 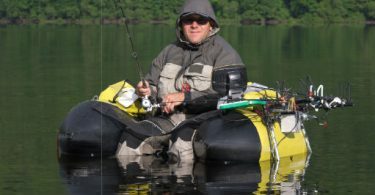 The Surf to Summit Insulated Fish Bag is particularly useful for those who love kayak fishing. It is made to last and comes packed with nifty features. Available in two sizes, this insulated bag attaches to all kayaks with heavy-duty buckles and strong Velcro straps. Cleaning it after you are done for the day is quite easy, thanks to a large opening at the front and a smaller one at the rear that allows you to flush out water. It offers ample storage for your catch with 2900 cubic inches volume. The semi-circular front unzips to a full 180-degree opening to give you unhindered access to the main compartment. Getting small and large fish into the bag has never been easier. There is a separate internal pocket that you can use for storing reusable ice as well as a generous opening at the tapered end for easier cleaning. You get ample external storage in the form of a bungee lattice overlay and a large contour pocket. The Ice Mule Coolers Pro Catch is specially designed for use on stand up paddleboards and kayak fishing. It boasts an interesting tapered design with a wider top and narrow bottom. It comes with welded straps, elastic strings, and clips that allow you to secure to the vessel in a thousand different ways. What we love most about it is that it offers the performance of a hard cooler and flexibility of a soft-sided catch bag. It keeps the ice intact and your fish fresh for up to 24 hours. Portability is easy because the cooler rolls up into a stuff sack when not in use. It is available in three sizes to accommodate different needs. The bag also features a 1000 denier MuleSkin™ exterior and an IM AirValve™, which allows air to be completely squeezed out of insulation for optimal preservation. The Original Boozie Bucket is your absolute best friend if you love fishing, camping, tailgating, hunting and other outdoor adventures. It is designed to withstand rough abuse for years to come with 1000 denier fabric. The fabric is waterproof and so are the zipper closures, ensuring that the wet things stay wet and the dry ones stay dry. You can use it for more than just storing fish because it comes with built-in rod holders, MOLLE straps, and pouches. Another notable feature is that the Original Boozie Bucket offers all-around insulation with closed cell foam. The lid is filled with foam and the top has a padded cover to further boost insulation. The rugged and adjustable straps are padded to help with comfort and easier transportation. Boozie Bucket also added a clip to keep the lid open so that the wind doesn’t mess with you. 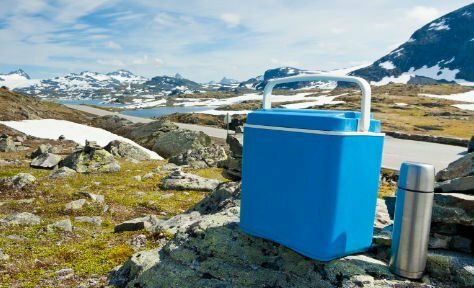 The Ice Mule Cooler Pro Cooler was developed by James Collie as a portable unit to carry food and drinks. It is a soft-sided 20-liter cooler with ample padding for comfortable transportation. It features a three-layer construction and a controllable air element via the IM AirValve. The TriFold DriTop™ System provides a foolproof seal to keep air out and the ice intact for up to 24 hours. The cylindrical cooler has a perforated foam back panel and padded shoulders straps that offer a serviceable suspension system. 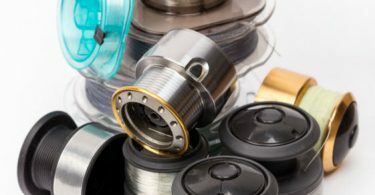 You can certainly push the limits of your accouterments thanks to RF welded seams, which have a 65-pound rating. There are two insulation layers including a protective MuleSkin ET outer layer made from tough 1000 denier fabric. The inner layer is made up of heavy-duty fabric that is 2x thicker than most. The cooler uses a ComfortCarryIMP System for maximum comfort during long excursions. It includes reinforced back straps and a ventilated back. AO Coolers is a brand dedicated to outdoor enthusiasts who need quality equipment for their excursions. This particular model uses TPU liners to ensure you end up with a heavy-duty cooler instead of a leaky faucet. The lining creates an extra barrier between the inner and outer layers, thus preventing the development of moisture on the outside of the cooler. A soft yet durable material that doesn't scratch up your car or boat is used for the exterior layer. This unit can keep ice intact for more than 24 hours in 120-degree weather. It is perfect for all kinds of outdoor activities including fishing, camping, and parties. It is available in four sizes to cater to different user needs. The cooler features a removable strap that allows for comfortable transportation as well as a side pocket for small dry items. The Seattle Sports Kayak Catch Cooler 20 is a low profile fish bag specially designed for kayak and paddleboard fishing. It boasts a top deck design that fits perfectly onto the deck of a kayak. It can also be secured behind the seat. The exterior layer consists of a reflective material that keeps the inside cold by reducing heat absorption. A zippered insulation chamber is responsible for keeping your catch fresh and chilled. You can remove that chamber for easy cleaning after a fishing trip. The Kayak Catch Cooler 20 uses zipper closures that are identical to what you would find on standard dry bags. It has adjustable carry straps for improved portability and is available in two sizes to accommodate anything from trout to bonefish. If you want something that replicates your personal style, this Personalized 12-Pack Khaki Cooler Tote is an excellent purchase. It makes a great gift for groomsmen and personalization adds a special touch to your gifts. It is a good cooler that will stand out at sporting events, cultural offerings within the community or outdoor adventures. This cooler is personalized with up to 7 characters in any of 20 signature colors. It boasts a sturdy and durable leather top handle with an adjustable strap that makes portability easier. The strap has a convenient bottle opener and the 12 pack insert allows for neat organization. The antimicrobial liner is leak resistant and prevents absorption of heat. There are multiple factors to consider when shopping for a fishing cooler. There are three main types of coolers i.e. basic, soft side and heavy-duty. Basic coolers are the ones you grew up seeing in at family outings or picnics. They use minimal insulation and come at a negligible price. Soft-sided coolers are designed for space-conscious customers and use more insulation than basic ones. Heavy-duty coolers use thick insulation, tight seals and locking leads. They are excellent options for longer fishing trips. This is measured in quarts and determines how much can fit inside. Smaller models with 25 quarts capacity are ideal for individuals on an overnight excursion. The 40-quart range will suffice for couples on a weekend fishing trip or a single person for a few nights. Consider a model with at least 70 quarts capacity if going on a long family trip. Coolers that offer complete drainage without having to elevate one end reduce aggravation while those with recessed channels and lower drain holes require minimal effort. Avoid a model that splashes a lot unless you are draining from outside. The main purpose of a cooler is to keep things cold and as such, insulation performance is an important factor to consider. The models on our list can keep ice intact for 24 hours or longer. Depending on how long your fishing trip will last, a few extra days of insulation may prove beneficial.